11 people were shot in Toronto over the Canada Day weekend. Toronto mayor John Tory met with three prominent members of Toronto's hip-hop community on Friday to discuss gun violence in the city. Clockwise from left: Director X, John Tory, Kardinal Offishall and Taj Critchlow. 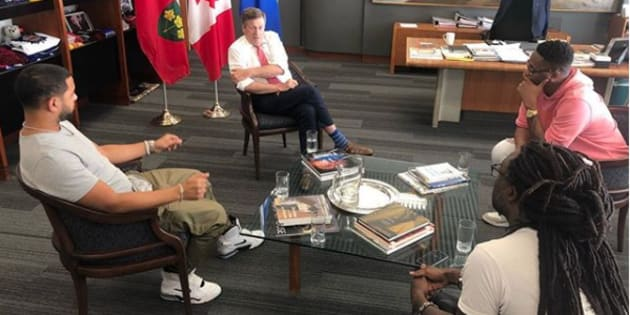 TORONTO — Mayor John Tory met with three prominent members of Toronto's hip-hop community on Friday to discuss possible solutions for the recent spate of gun violence in the city. Filmmaker Director X posted a message on Instagram saying he joined rapper Kardinal Offishall and producer Taj Critchlow to start talks they hope will lead to "solutions both long and short term." The music video and movie maker said it's part of Tory's outreach to a number of members of the local hip-hop community following a string of shootings that left three people dead and at least eight injured over the past week. Growing up my friends and I would travel downtown from Brampton to goto all ages parties. They were amazing and fun nights but we saw a lot of violence. Every weekend someone was getting injured or killed. It didn't feel like anyone cared. No news stories about the violence. No community activists protested for us. We felt completely ignored and alone. That was then. I want the youth to know that there are people who truly care about their well being and their future. Today @tajtheblacklion organized a meeting with @kardinalo myself and @johntory the Mayor of Toronto to discuss the violence that is affecting our city. The Mayor has been speaking to other members of the hip hop community in the city who are all very concerned that the youth have a real chance at living a good life. We discussed solutions both long term and short term. I'd like to hear what you all have to say. What can we do? "I want the youth to know that there are people who truly care about their well-being and their future," the director wrote in his post. The meeting followed recent efforts by members of the hip-hop community to crowdsource feedback on social media from their Toronto fans about recent events. Kardinal has previously addressed the gun violence in his own social media posts, saying that a "lack of community funding and programming" has led to "desensitized youth with a lack of resources," but he firmly denied it has anything to do with music. "This is about a need for leadership to increase, this is about many things — but this is not about a correlation between rap and violence. Not today. 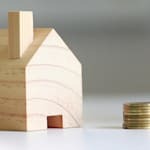 No thanks," he wrote in a July 1 post on Instagram. A day earlier, two men associated with the local rap scene — 21-year-old Jahvante Smart, also known as Smoke Dawg, and 28-year-old Ernest Modekwe — had been killed in a shooting in the downtown area. Those men were among the 11 people that were shot over a week's span beginning on June 29. In one of the shootings, four people were injured in Toronto's Kensington Market neighbourhood with one of them dying in hospital. Kardinal expressed optimism about the initial meeting with Tory, noting that the mayor "read over every last comment. Toronto Mayor John Tory waits to speak to reporters at a media event outside Union Station in Toronto on July 3, 2018. "Sometimes we look at our officials and politicians as being out of touch with marginalized communities, but I will say that he is very much aware of the large task that is at hand and was very receptive to a lot of our ideas that were put forth," he posted. "Having lived in various neighbourhoods across the city, we were able to speak to him from the perspective of being residents but also as people of influence who wish to use our platforms to elevate the city and subsequently the country." The rapper said he believes there is "no one solution" to the issue, but he explained to the mayor the "importance of an empathetic outlook" towards the community that brings people together, rather that isolates them. The meeting came as Tory also sat down with Prime Minister Justin Trudeau Friday morning to discuss various issues, including gun violence. Tory has said all three levels of government must work together to address local gun crime. Candles and a framed photograph of slain rapper Jahvante Smart are placed in the Metropolitan Church park during a vigil in Toronto on July 2, 2018. "While we know this is a complex problem and there is no single, quick fix, I know that the prime minister is as committed to finding solutions and keeping people safe as I am and as are the women and men of the Toronto Police Service," the mayor said in a statement. "The Prime Minister pledged in our meeting to doing everything possible to get federal funding to our city as quickly as possible to help us increase our efforts to stop gun and gang violence." Kardinal said he hopes his meeting was the first of several with Tory. "I am no social worker, professional educator or any of these amazing people that spend countless hours, days and years elevating our neighbourhoods — but I'm somebody 'from the area' who has deep roots in the community and who cares," he added, encouraging others to continue to make suggestions and share their own experiences.